Motivational Keynote Business Speeches, Business Consulting and Leadership Training. Take a Different Stance in Life to Stand Up, Stand Out and Deliver Your Best. Always Advance: Build better business by building better people! BrickHouse Leadership Solutions is a company that is dedicated to providing powerful interactive training seminars, management consulting and keynote presentations that help executives and business owners significantly improve individual and organizational performance. 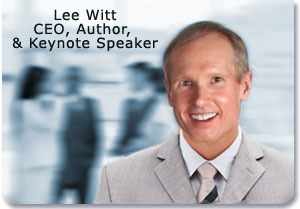 Lee Witt, founder and CEO of BrickHouse Leadership Solutions Inc. freely admits: "I’m not here because I’m so smart. I’m here because over the past thirty years, I’ve been able to gather some remarkable lessons from a variety of outstanding coaches and business leaders. These lessons, in addition to over twenty years of experience in corporate America, have allowed me to succeed as an entrepreneur in a market where almost everyone else fails. I’ve assimilated this collection of lessons into a performance methodology called “Always Advance.” When properly and systematically applied to your business, your business cannot help but grow and thrive." 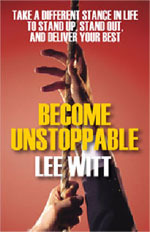 We begin with the premise that the most successful businesses are run by the most successful people. You cannot separate one from the other. Therefore, you have to build better people in order to build a better business. This can only be accomplished through education and training. With the proper training, you can integrate the most effective methods and processes into your business. You can identify and provide the necessary skill base that will enable your employees to flourish. You can also learn and demonstrate the kinds of personal qualities and character traits that differentiate the leaders who win from those who simply fade away. The tools and techniques proposed in the Always Advance Performance Methodology will enable individuals within your business to reach the upper limits of their genetic potential, intellectually, emotionally and even physically. Unlike many seminar and keynote businesses, this is not about pumping you up – although you’ll no doubt become more motivated. Instead, this is about presenting you with “a way” that if followed, will get you to your destination in the most effective and efficient fashion. It doesn’t matter how dynamic an environment you’re faced with. It doesn’t matter what state the economy is in or how much money you have. It doesn’t matter how young or old you are. The Always Advance Performance Methodology outlines the formula, the skills and the necessary personal qualities that will enable your team to prevail against the odds – just as it did mine. Knowing your destination – you must know what your desired end result looks like. Doing your homework – you must understand your market and the context within which you are operating. Then you must design the map that will lead you to your destination. Understanding that only three things keep you from succeeding – once you grasp those three things, we can give you a strategy to address them. Change - Embracing the one characteristic that has proven to separate the most successful leaders from the rest of the pack. Power - Learning how to leverage everything that happens. Formation - Recognizing that outstanding leaders embody certain habits and behaviors. The fact is – if you’re not growing, you’re dying. That’s true of people and businesses. That’s why you must Always Advance!